People’s AME Zion Church, located at 2226-28 South Salina Street, is one of the longest serving African-American churches in Onondaga County. 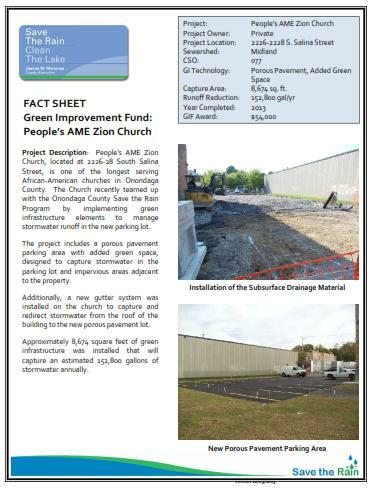 The Church recently teamed up with the Onondaga County Save the Rain Program by implementing green infrastructure elements to manage stormwater runoff in the new parking lot. 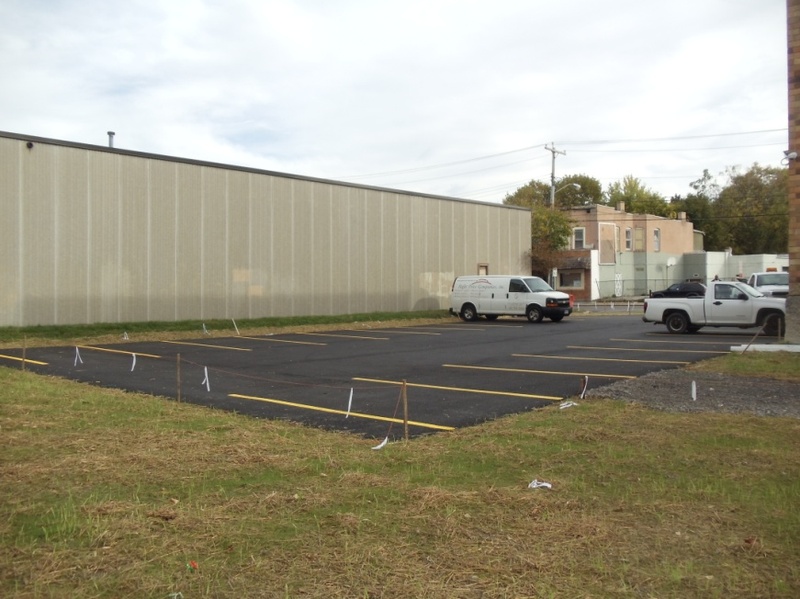 The project includes a porous pavement parking area with added green space, designed to capture stormwater in the parking lot and impervious areas adjacent to the property. Additionally, a new gutter system was installed on the church to capture and redirect stormwater from the roof of the building to the new porous pavement lot. Approximately 8,674 square feet of green infrastructure was installed that will capture an estimated 152,800 gallons of stormwater annually. Previous post: GIF – P.E.A.C.E. Inc.